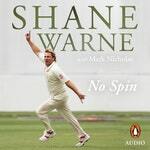 We are excited to announce the publication of Shane Warne’s memoir, No Spin, for release in Australia and the United Kingdom on 1 October 2018. 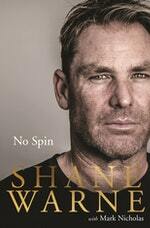 No Spin is the last word on Shane Warne’s extraordinary cricketing career and his life off the pitch. Perhaps the greatest bowler the world has ever seen, he is also one of the top five cricketers of the 20th century, according to cricketing bible, Wisden. His mesmerising bowling prowess, coupled with his personal life (which has long been fodder for the tabloid press) has made him one of Australia’s most illustrious sportsmen. No Spin is the true story behind the headlines, in Warne’s own voice, and challenges some of the enduring myths and untruths that surround him. 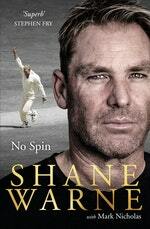 Uncompromising and compelling, it is destined to rank alongside some of the greatest Australian sports autobiographies.